Arlette will be pure white in coloring, much like her grandmother Scarlett and uncle Xan. 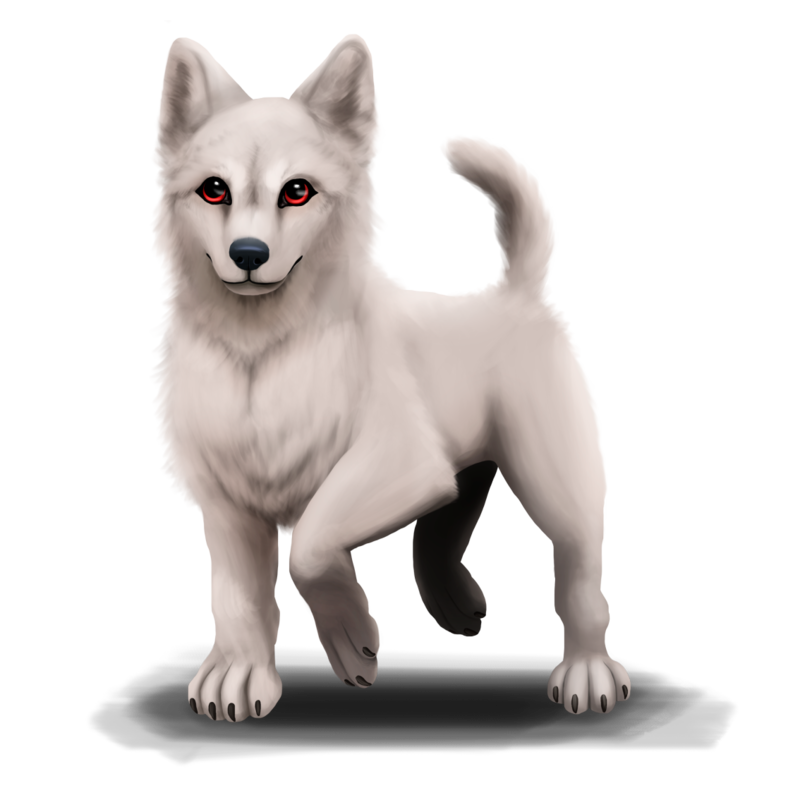 She will also have the partial-albinoism and sport red eyes. Due to the partial albinoism, her nose is black in pigment. Arlette's parents are Valette and Stark. She has a brother named Merrit and a sister named Keen. Arlette also has three older (half-)siblings named Steph, Ezra, and Clary. There are also an aunt and uncle, Nanook and Xan, and her grandparents Scarlett and Kove. EASTHOLLOW — 21/05/2018 till Present. Email: Send Arlette an email. stop being so cute!! you have child/puppy mannerisms down-point. i love arlette's puppy-logic!